Tuesday night’s Together at Ibiza’s Amnesia has apparently produced its most successful season to date and will be celebrating its 5th birthday on the island on Tuesday 25th August. From Chase & Status doing weekly residencies to Hannah Wants exploding onto the scene with a residency at the club last year, the Together brand has arguably brought something new to Ibiza. 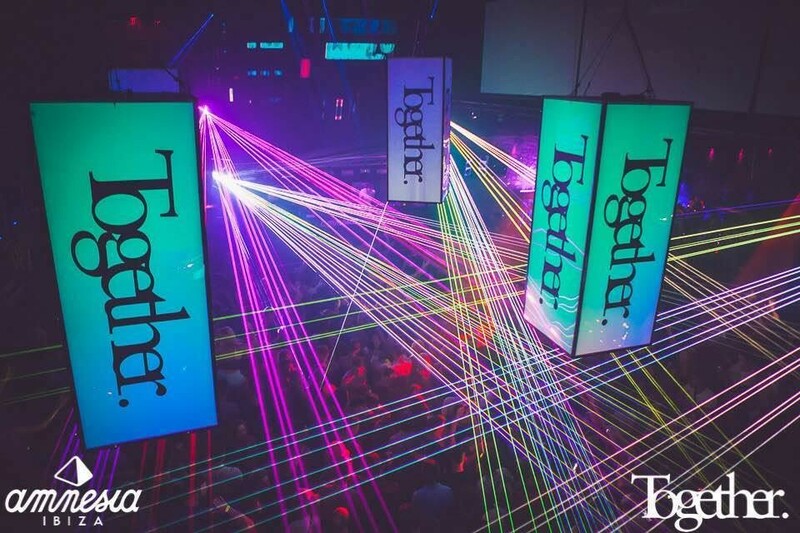 Together has been delivering line ups with the likes of Chase & Status, Sigma, Sub Focus and Wilkinson in the main room, with house brand Defected In The House bringing the best in house music to the terrace with MK, Gorgon City, Hannah Wants and Julio Bashmore, who all featured in the first seven events of the summer. 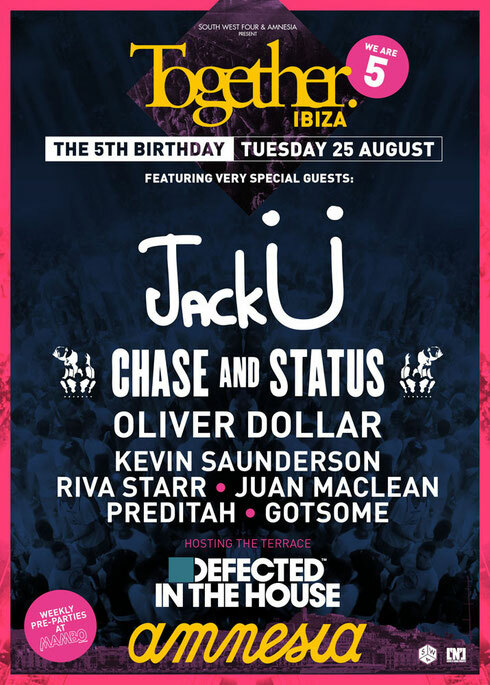 Now for their 5th birthday party, Jack U will be headlining the celebrations. 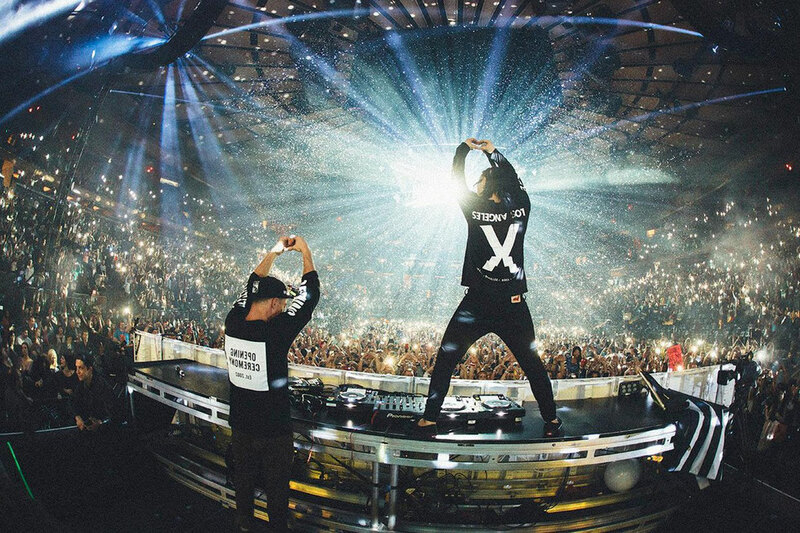 Skirllex and Diplo have masterminded their alias Jack U for a global audience. From #1 hits around the world to selling out Madison Square Garden for NYE 2014, the duo have only performed once before in Europe and this performance is their first time ever on the White Island. Joining them will be summer residents Chase & Status. Whilst the main room will be filled with explosive sounds and basslines, Defected In The House have curated a line up that includes Kevin Saunderson, who will be making his 2015 Amnesia debut. Supporting him will be Oliver Dollar who has apparently seen a rapid rise to the forefront of house music with the Amsterdam local receiving many plaudits. Completing the line up will be Riva Starr, Juan Maclean, Preditah and main room residents Gotsome.